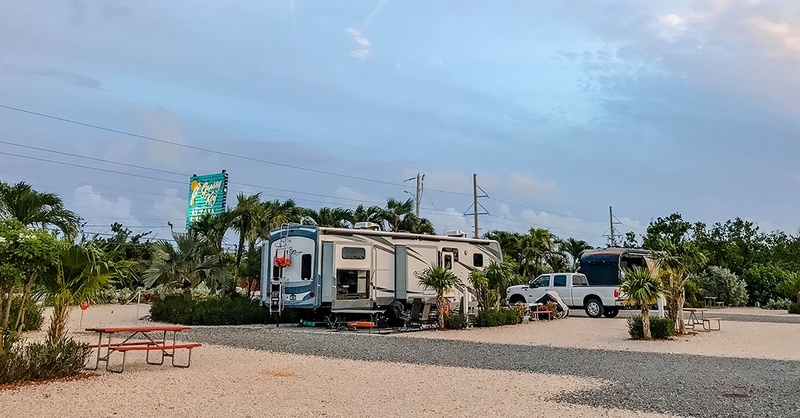 The Florida Keys boast so many campgrounds, it can be difficult to choose where to stay. We recommend camping in a centrally located area like Grassy Key in Marathon, Fla., so you can easily visit the other islands. 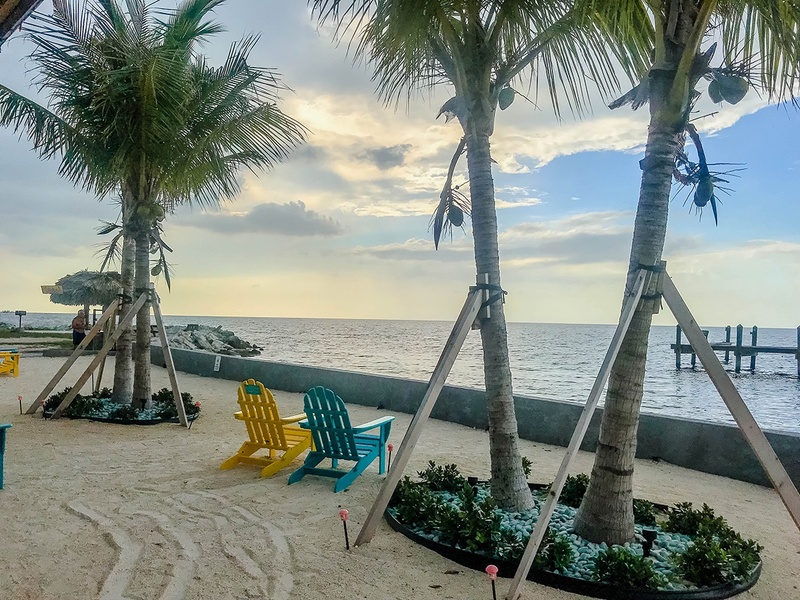 Grassy Key is a short drive to popular destinations like Islamorada (30 minutes), Key Largo (1 hour) or Key West (1 hour and 15 minutes). While Grassy Key RV Park & Resort and Jolly Roger RV Resort were similar in many respects, they each had a unique atmosphere. Grassy Key was the more quiet and peaceful of the two. It only had 38 RV sites (no tent camping), and it was one of the smallest RV parks we’ve ever stayed in. Jolly Roger wasn’t a loud place, but we noticed many sites with multiple vehicles and lots of people. Both parks had quite a bit of road noise because they sit on US Route 1, but this is pretty common for the Keys. Almost everything there is right off of this road. As for the grounds themselves, Grassy Key’s property was all rocks except for a small dog park. Jolly Roger was fully paved with grass sites and concrete pads for the picnic tables. A swimming pool is a must-have amenity in the summertime. Both of our resorts had pools, but we found them to be on the smaller size. 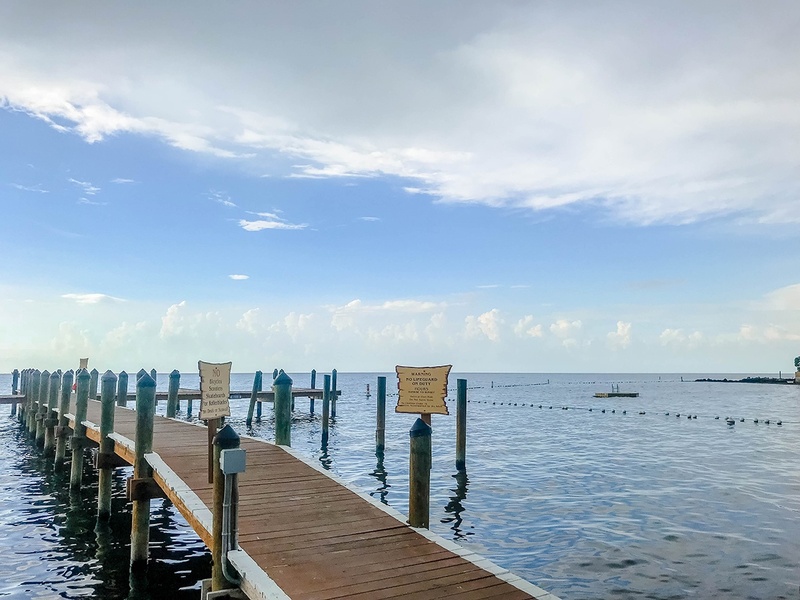 With only 38 sites, the pool size at Grassy Key was not much of an issue, but Jolly Roger had almost 200 sites, so their pool tended to be crowded. The pool at Grassy Key was also temperature-controlled, and it always stayed 88 degrees. Water access is where Jolly Roger had an advantage over Grassy Key. They both had access and dockage for boats, but Grassy Key didn’t have a ramp to lower your boat into the water. You had to pay to use the ramp at a nearby marina. Jolly Roger had boat dockage and a ramp to use as well. At Grassy Key, we were not allowed to swim in the Gulf of Mexico. However, Jolly Roger had a dedicated swimming and snorkeling area for guests. This was a nice bonus since most travelers envision themselves swimming at the beach during their vacation. Grassy Key did have a high-end kayak and paddleboard launch. Since the park was so small, we could easily walk our equipment to the dock and get on the water. If you use bathhouses when you’re traveling, be aware: Grassy Key did not have any and Jolly Roger did. While we always use our own shower in our RV, if you need facilities, Jolly Roger is the place to be. Both parks were pet-friendly, but Grassy Key’s property was all rocks. They did have a small pet area with grass for dogs, but it was not fenced in, so dogs could not be off-leash. Jolly Roger had a fenced-in Bark Park which was a nice bonus since our energetic puppy loves to roam free. If you’re looking for a late arrival, you’ll need to stay at Jolly Roger. 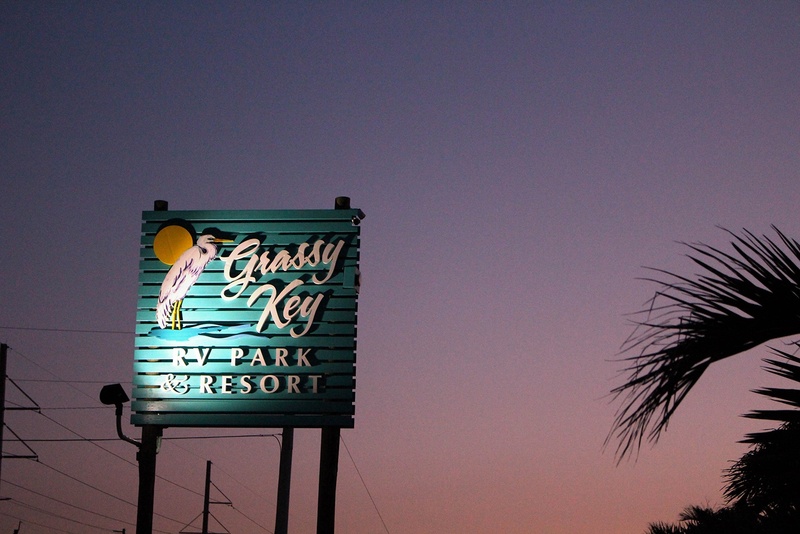 Grassy Key only allowed check-ins until 5 p.m. This can be a challenge with the unpredictable Florida Keys traffic. If arriving late or unannounced is more your style, Jolly Roger allowed after-hours check-ins and walk-ups. Both parks have a peak season from December to April, which means higher rates and fewer available sites. If you have the option, visit outside of peak season to save on fees. We hear it is considerably slower in May, September and October. However, if you stay during a holiday like Memorial Day or Labor Day, it will be busy, and sites will be back at peak season rates. This one is really a toss-up, and your choice will be based on personal preferences. 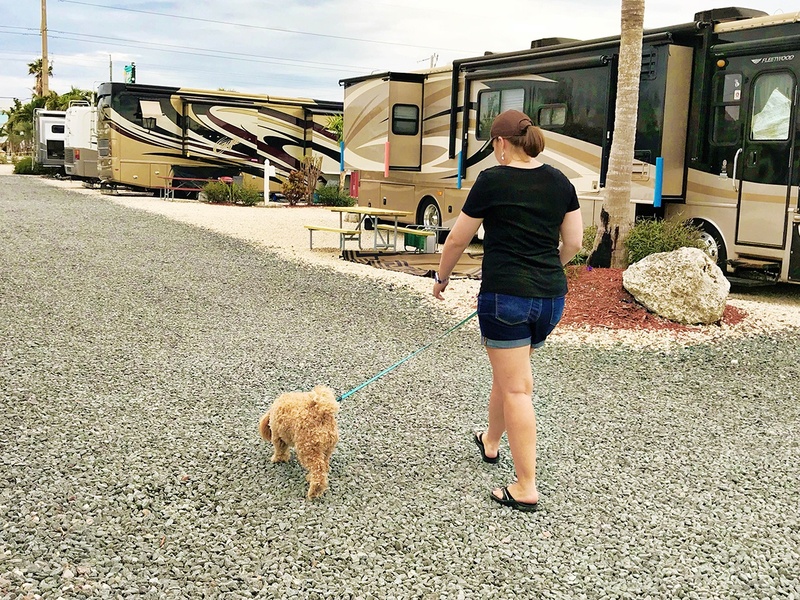 For us, we preferred the smaller, quieter Grassy Key RV Park & Resort. The temperature-controlled pool pushed it over the edge. 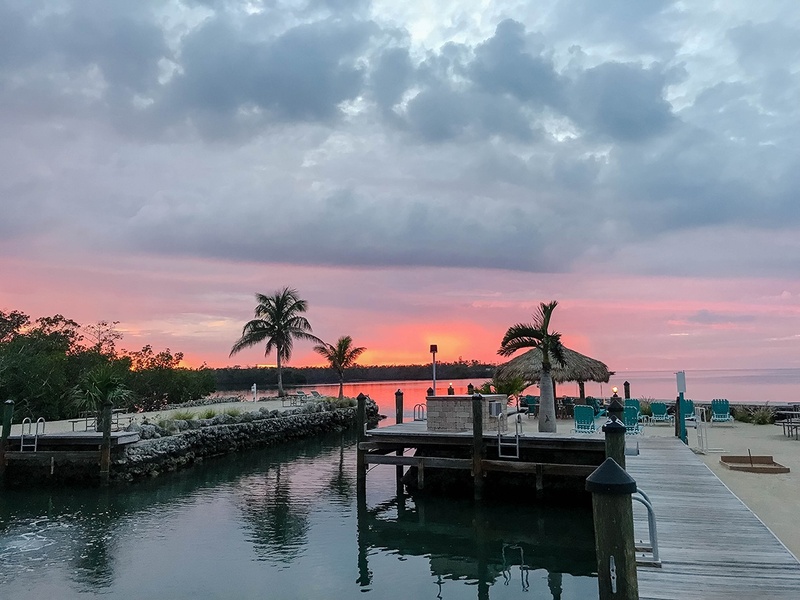 You really can’t go wrong with either, though, as they’re both so centrally located to anything and everything in the Florida Keys. 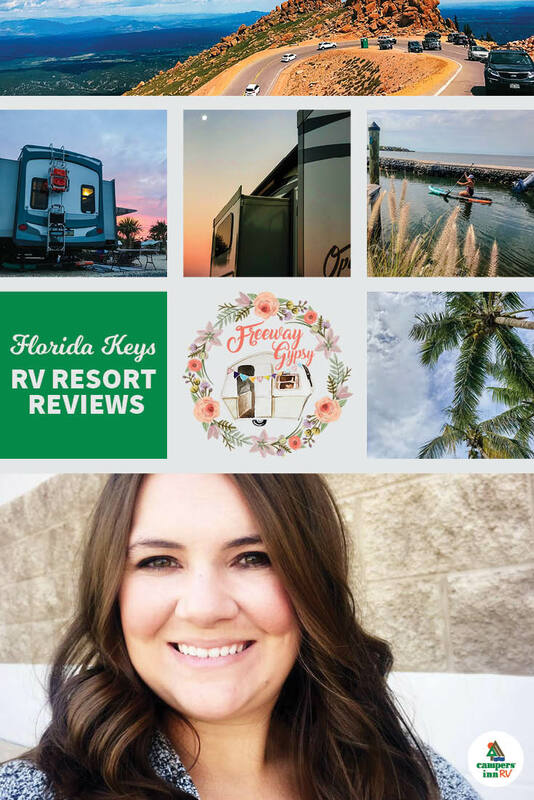 Click here to learn more about the Freeway Gypsy and how she started a life of full-time RVing adventure! Need more suggestions for camping fun? 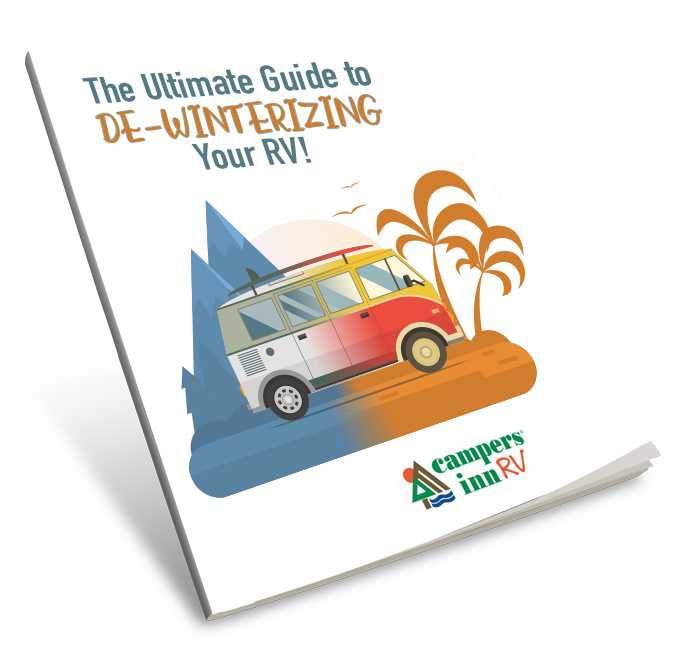 Download our free e-book, 6 Epic Road Trips.